Youth, and lots of it. Immediately after the tournament ended Zambia coach Honour Janza commented that many lessons had been learnt and that he was confident in the future of the Chipolopolo. Some said that such confidence was misplaced, but if we look at the makeup of the squad it tells an interesting story. Janza made bold selections, refusing to rely on the core of players who took Zambia to AFCON victory in 2012. Jackson Mwanza, Spencer Sautu, and Rodrick Kabwe are all examples of prospects who’ve progressed through the U-20 set up. Furthermore, despite elimination Zambia exhibited an ability to both create chances and get forward when necessary. In both matches against Tunisia and DRC what arguably cost them was an inability to convert those chances into goals. A lack of creativity in midfield was apparent throughout Zambia’s campaign. Even during the glory days of Herve Renard, Zambia were never known to be prolific, instead what they relied on was solid defensive organisation and a willingness to get men forward and strike on the counter. In the turgid 0-0 against Cape Verde what we saw were Zambia’s flaws laid bare – Evans Kangwa’s late miss, an inability to break down an organised Cape Verde and, in some senses, a lack of tactical flexibility from Honour Janza. 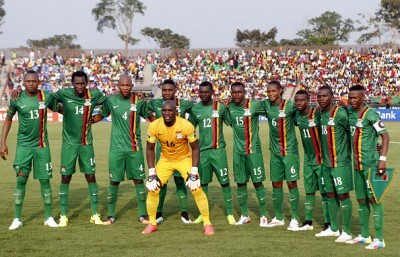 DR Congo aside, Zambia came up against opponents who were eager to allow them time on the ball and keep things tight. It was in these situations Zambia simply had no response. For Zambia as a whole perhaps the realisation has finally dawned that victory in 2012 was formed on the basis of a group of ordinary players. Ordinary in ability, yet extraordinary in both their togetherness and the ability of Herve Renard to ensure that each squad member performed to their maximum potential. The below par performances of Emmanuel Mayuka and Rainford Kalaba all indicated a stagnation within Zambian football, even more apparent when after the Tunisia loss, Honour Janza blamed the defeat on ‘dressing room egos’.